supporting the Santa Barbara Arts Collaborative. 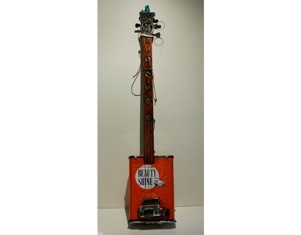 Join us Wednesday night October 16th for a rocking evening with Sue Van Horsen, Norm Reed & Michael Long playing Sue’s unique one of a kind guitars. Hosted by the hot new venue at the Anacapa Project, the Guitar Bar, Sue & company will be strumming her cigar boxes, sliders and a new 6 string. After playing the Guitar Bar, the party moves to Figueroa Mountain Brewery. 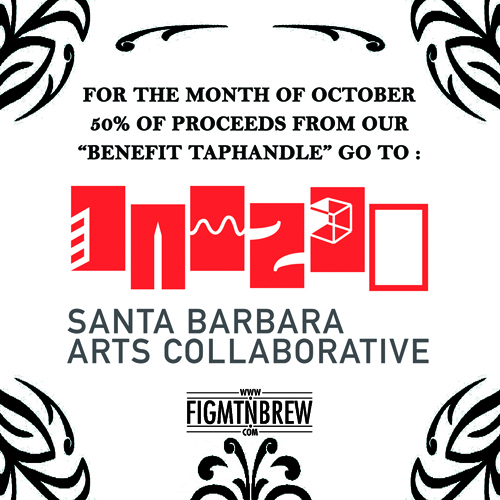 Wednesday nights in October, drink from the Benefit tap and support the arts in Santa Barbara. The Santa Barbara Arts Collaborative is the beneficiary of the proceeds from the tap. The Collaborative is working to support the arts and artists throughout the city. Currently the SBAC is working towards developing a new home for the Solstice Parade, called the Creative Arts Workshop. The CAW will be a hub for creativity and innovation in the arts when it is completed. Help us fund this important resource in Santa Barbara. Buy a beer, listen to great music and support the arts. Even if you don’t drink, buy a benefit beer for a lucky Fig patron. Give the gift of a beverage, give the arts a boost.